SR-71 on display at the Smithsonian Air & Space Museum's Stephen F. Udvar-Hazy Center, located on the southeast side of the Dullas International Airport near Washington, DC. 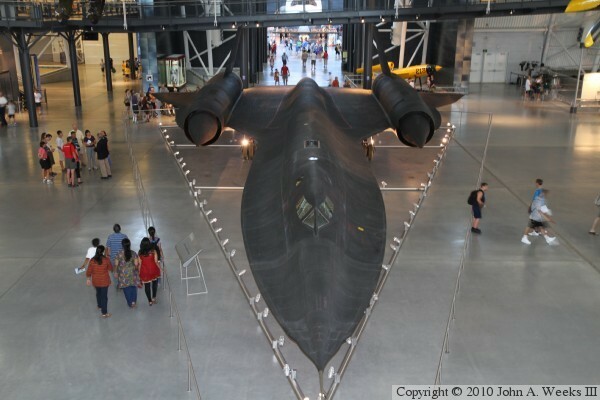 This SR-71 holds the world speed record for a manned air-breathing jet aircraft of 2,124 miles per hour. It set this record on its final flight as it flew from Los Angeles to Washington, DC, to be retired to the museum.